This new device uses Dark Adaptation Technology (DAT) to enhance visual acuity to find dust and stains which are otherwise not visible in the presence of white light. Quasar® R comes with fourteen (14) bright LEDs, seven (7) of which are a unique red LEDs with specially chosen wavelengths to increase visibility of dust particles. At this specific wavelength, the red LEDs cause the iris to dilate the pupil as wide as possible, allowing more light into the eye so that sensitivity in photoreceptors is enhanced several fold. After only a few seconds of the pupil widening, you will be able to see the sensor more clearly, and in greater detail. Dark Adaptation Technology allows more light to enter to the pupil of the eye enhancing the ability to see the sensor more clearly. 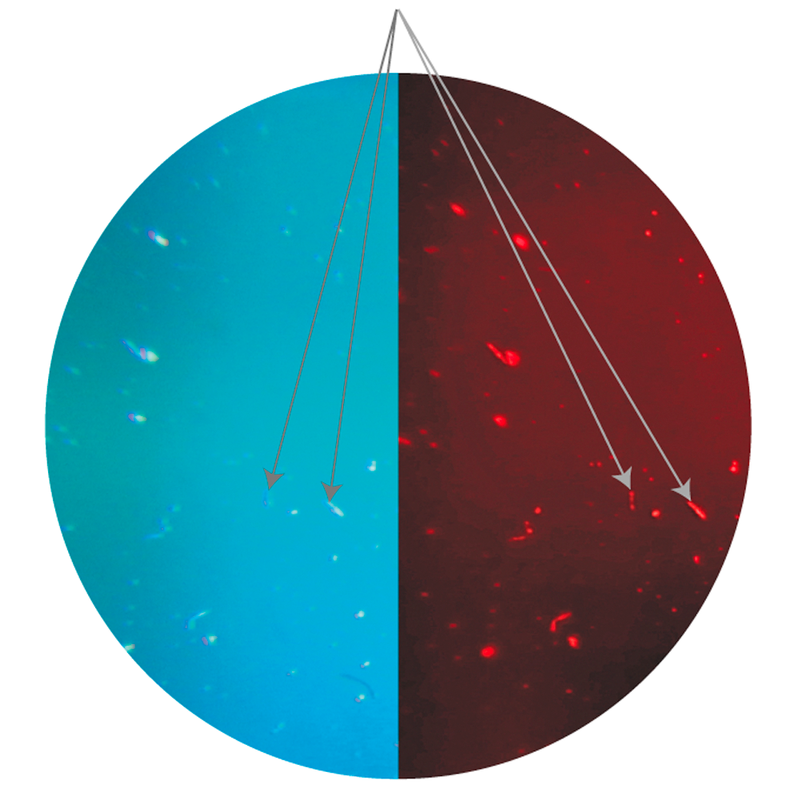 The Quasar® R 5x Sensor Loupe® Magnifier comes with a 5x magnification ED (extra low dispersion) glass and Fluorine coating (MgF2) to enhance resolution and reduce chromatic aberration. 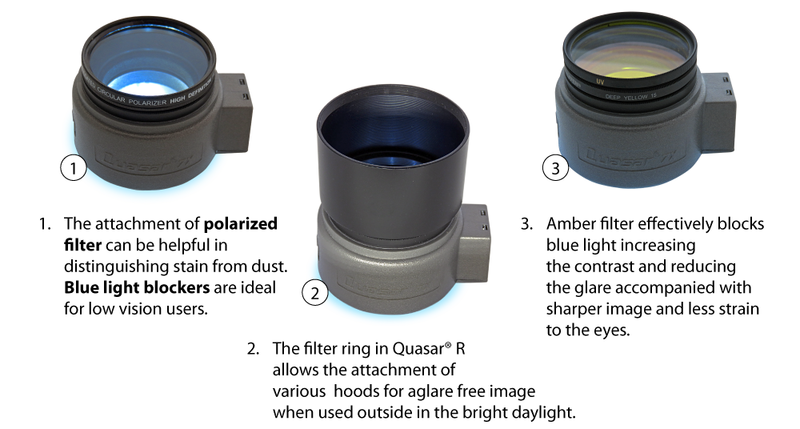 Another feature of the Quasar® R 5x Sensor Loupe® Magnifier is a 67 mm metal ring allowing filters and extension tubes for alternative photography to be attached. The Bright Vue technology used in Quasar® R Sensor Loupe® Magnifier uses seven white or red super bright LEDs with vari-angled orientation specifically designed to create a 3D representation and identify even the smallest spots with heightened eye resolution.